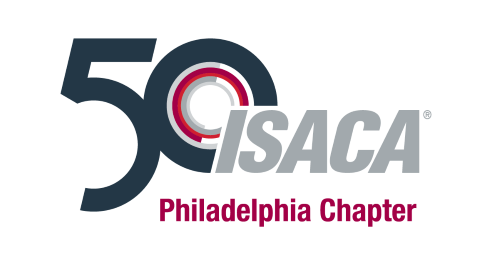 The objectives of the chapter are part of our bylaws that govern the Philadelphia Chapter of ISACA which are available to view or download under About Our Chapter on the top banner. As one of the first and largest ISACA Chapters, our mission is to provide our members access to quality, relevant and cost effective educational opportunities; valuable networking opportunities with other Risk, Governance, and Security professionals; and, introduce our profession to students and others to attract new talent to our community. Sponsoring educational opportunities throughout the chapter year for continuing professional development. These opportunities are to be offered through meetings, webcasts, conferences, and seminars in various locations throughout the chapter footprint. Making our members aware of career opportunities available locally and nationally. Introducing our profession to students and others to attract new talent by working closely with universities, corporations, etc. and through meetings, scholarship and outreach programs. Offering many opportunities to network with others through our website, in-person meetings, seminars, seasonal conferences, social events, and our annual meeting. Keeping members informed of current chapter events and other relevant topics, both general and technical, that are of interest to our members and are provided through available means such as our website, social media, and the chapter newsletter. Support the implementation of, and encourage compliance with, appropriate standards and procedures for the effective governance and management of enterprise information systems and technology, including: audit, control, security and risk management. Perform their duties with objectivity, due diligence and professional care, in accordance with professional standards. Serve in the interest of stakeholders in a lawful manner, while maintaining high standards of conduct and character, and not discrediting the profession or the Association. Maintain competency in their respective fields and agree to undertake only those activities they can reasonably expect to complete with the necessary skills, knowledge and competence. Support the professional education of stakeholders in enhancing their understanding of the governance and management of enterprise information systems and technology, including: audit, control, security and risk management. Failure to comply with this Code of Professional Ethics can result in an investigation into a member's or certification holder's conduct and, ultimately, in disciplinary measures.